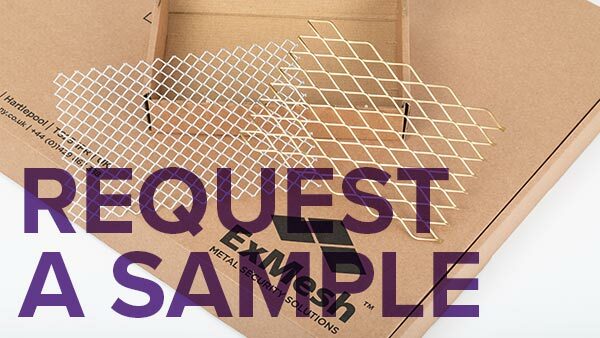 Unlike perforated metal where holes are punched and the waste is costly, our Experf production method involves slitting and stretching the material to create holes, rather than punching them out. This provides a high quality product with cost savings of more than 50% versus perforated metal products. Experf can be interchanged for perforated equivalents in multiple applications, giving comparable aesthetics, strength, open area, acoustic and filtration properties.